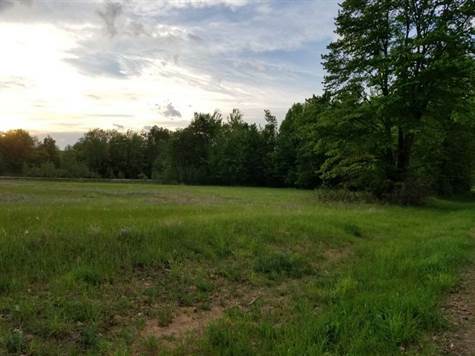 Buildable acreage approximately half wooded. Pie shaped at J and Gavitt Street. Just minutes from shopping and Highway 29. Build a home on the open land acre or nestle it in the woods. Land has been perked for mound system. Land runs from the 2 Coldwell signs (one on County Road J and one on Gavitt St North to pie peak of J and Gavitt.